Radio stations in St. 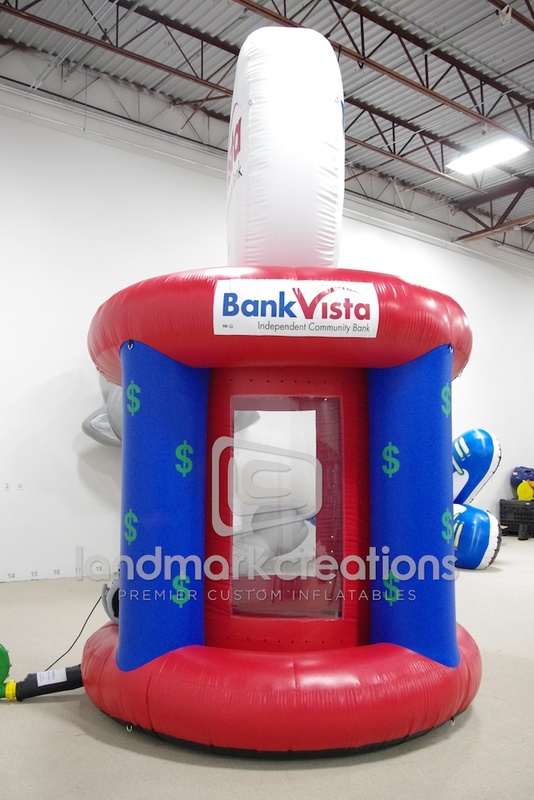 Cloud, MN, use this inflatable money machine to attract buzz at special events! 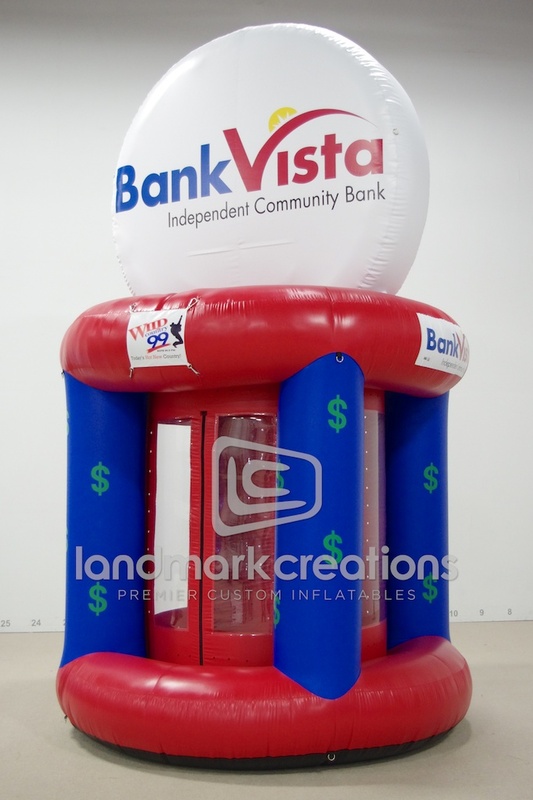 Wild Country 104.7 and Lite Rock 99.9 share the inflatable cash booth, thanks to interchangeable branding logos. 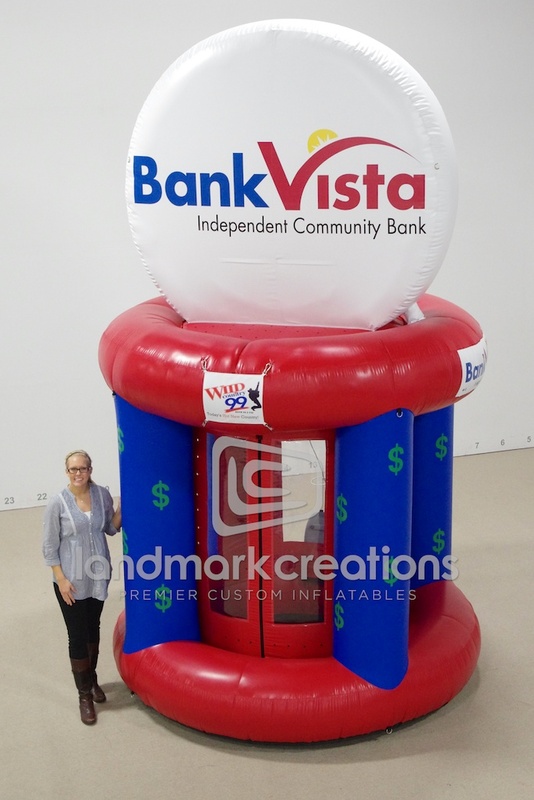 Now that's smart marketing!